By now you’ve heard that you should be blogging. It’s among the quickest and most effective ways to establish authority, not only in your industry but also with Google. Dynamic content on your website is the key to Google’s heart and blogging consistently is a great way to keep fresh, relevant content flowing. People who are looking for a company just like yours have questions that need to be answered and a blog is a great vehicle to answer those questions. A blog is useful for “top of the funnel” or “awareness stage” content. People have problems and they’re turning to a search engine to find solutions. They’re doing research and asking Google to answer questions for them. They may not know your company, product or service and, at this point, they might not care. They just want to figure out the solution to the problem. So your blog posts should be helpful, educational, add value and be more than a thinly-veiled advertisement for your company, service or product. Your goal at this time is to stand out as a source of valuable information. You can get into details and specifics once you’ve established some credibility with the visitor. People ask us all the time how often they have to blog. There’s no right answer; it depends on your goals, your existing audience, your current position in Google, and how fast you want to achieve those goals. A good place to start, though, is once a week. Google wants to see consistency and frequency. It may take a little time to see results – you have to earn credibility with Google, too. More and more, Google is optimizing for human beings. This means that what’s important to humans is also important to Google. So, a well-thought-out and well-written post is going to be valuable for both audiences. Make sure that you have a clear point and that your post follows a thread from A to B so your readers can follow along easily. 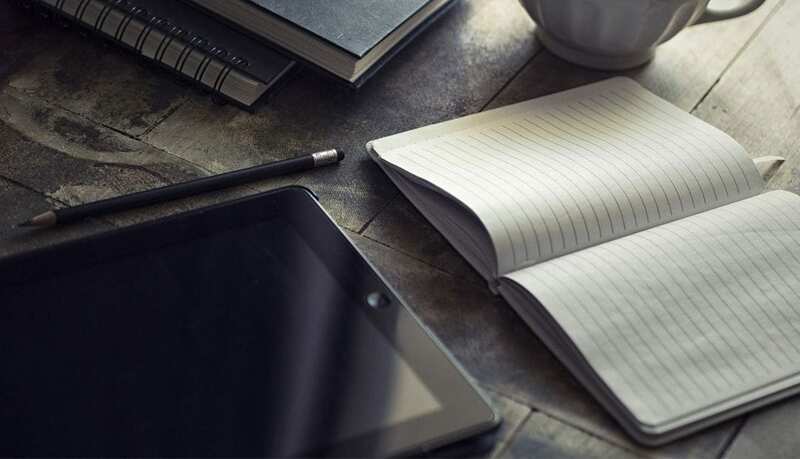 Remember that your readers are likely in the early to middle stages of their research process, so help them along by explaining industry topics in a manner they can follow along with. Use headings, sub-headings, bullets and lists in your post to make it reader-friendly. Break up long swaths of text with visual cues that help the reader. As a bonus, some of these elements have SEO value as well. The next question we invariably get is: what should we blog about? Again, it depends on all the same factors noted in the previous paragraph. However, if we’re planning a month’s worth of posts, we recommend a combination of three strategic posts for every one non-strategic post. A non-strategic post could be something you want to talk about, regardless of its SEO value: a community project, a client story, company news, commentary on industry news – those sorts of things. The post is more than 350 words; between 500 and 750 is generally a sweet spot, but by no means a rule. 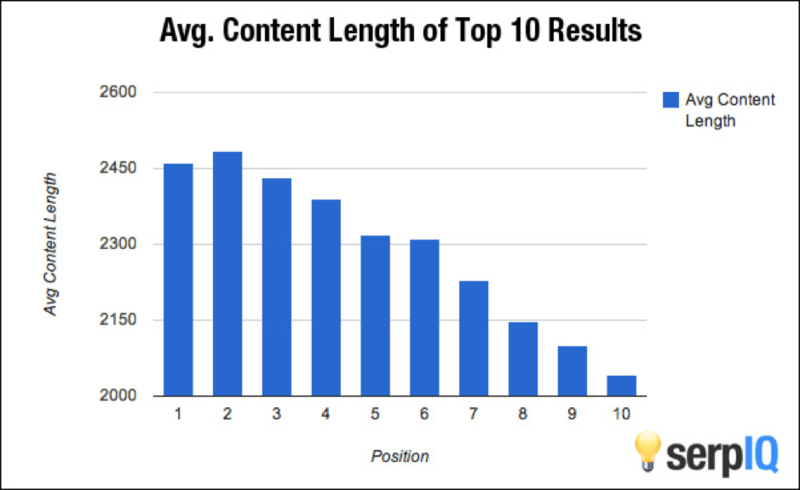 Google has started putting emphasis on longer content, as long as it maintains its value to the user. It’s all relevant. Longer posts can work, depending on the subject and type of post. Educational content can run longer. Philosophical content night read a little shorter. Non-strategic content can be as long as you want it to. You want the keywords to appear in your post. Ideally, they would appear in the first paragraph or two. You want it to appear enough times so that it reads naturally, so it’s meaningful to the readers and it has value to the search engines crawling the post. That does not equate to a certain number of times or repetition. It’s a judgement call. The post typically relates to one of your company’s services, capabilities or solutions; provides insights into your industry or could be considered thought leadership. It relates – and links – back to a website page. The keyword should be the link back to the page that has the related content. However, for best results, only link the keyword once. The destination page should be well developed and optimized and contain appropriate keywords. This practice works to establish authority on the subject. The post utilizes a focus or head keyword in multiple ways throughout the post (post title, body copy, heading(s), post tag, title tag and meta description). Always tag the post with your focus keyword and any iteration that makes logical sense. (Video Production: video services, video production services). You can use up to three tags. Along those same lines, the post should be published into a single, related blog category. There are more things to take into account when blogging for SEO, but these tips will get you started on the right path, to attract both your customers and prospects, and Google. When it comes to blogging, the most important thing is to get – and stay – ahead of post ideas. Idea generation is the key element to stay on top of if you want to be successful with your blogging. When you fall behind, it’s hard to get back on the horse. Then you look at your blog and realize that you haven’t posted in a few months and you find yourself sitting in front of a blank screen with a blinking cursor and a sinking heart (like us! Look at the date of our last post!). When that happens, there’s only one thing to do: Get back on track. Google is forgiving. And your customers and prospects are still looking for answers.